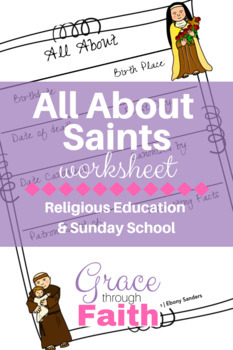 Students can learn all about saints any time of the year! 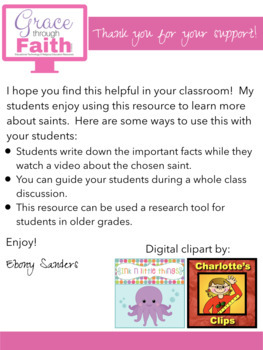 Students can write down important facts while watching a video about a chosen saint. Teachers can guide students during a whole class discussion. This resource can also be used as a research tool for students in older grades. You will receive (1) PDF file to download. 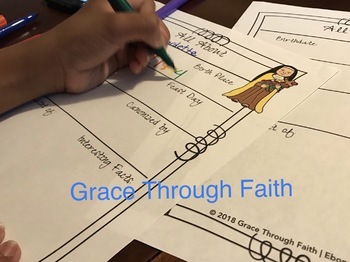 You are welcome to make copies for your classroom for personal use. Please keep my copyright information at the bottom of this resource. You may use this resource on a blog/website/social media provided you give me credit by using a clickable link back to my store. Please do not alter or resell this resource. Editable products will be stated otherwise.